This frame type is cold drawn seamless tube form, alloyed HSLA (High Strength Low Alloy) steel alloying elements mn. chromium, nickel, molybdenum, niobium and manganese, Columbus a special chemical composition, the combined effect of the reinforcement. Reducing the alloy grain size are incredibly. Niobium appears more effective than vanadium, as alloying strengthening agent. NIOBIUM undergoes a special heat treatment. After the drawn tubing and are formed, which ensures that the steel is its specific properties. These tubes are designed to provide high mechanical properties and a higher resistance to impact on the environment than conventional carbon steel. Exceptional mechanical properties: high tensile strength, superior toughness and incredible fatigue / stamina. The tensile strength is 1150 NM-mm2. The upper and lower tube, at its thinnest point, even 0.38 mm. This makes it very lightweight tube, the tubes are double butted 0.4 -0.38 to 0.4 mm. The seatstays are full length only 0.7 mm., The chainstays even from 0.7 to 0.5 mm. The bottom and top tube are very characteristic shape data, with a modest tube shape, with nice flattened sides. The down tube is 43.5 mm. high and has a diameter of 38 mm. The horizontal and seatstays are 2 versions. This frame combined with the 35 diameter double butted seat tube on side, and the 38 outer-diameter head tube with integrated headset, this is the lightest steel frame, which we can build. Full manual tig welded with low wall thickness of less than 0.4 mm. This is true craftsmanship. Beautiful small welds and beautifully finished. 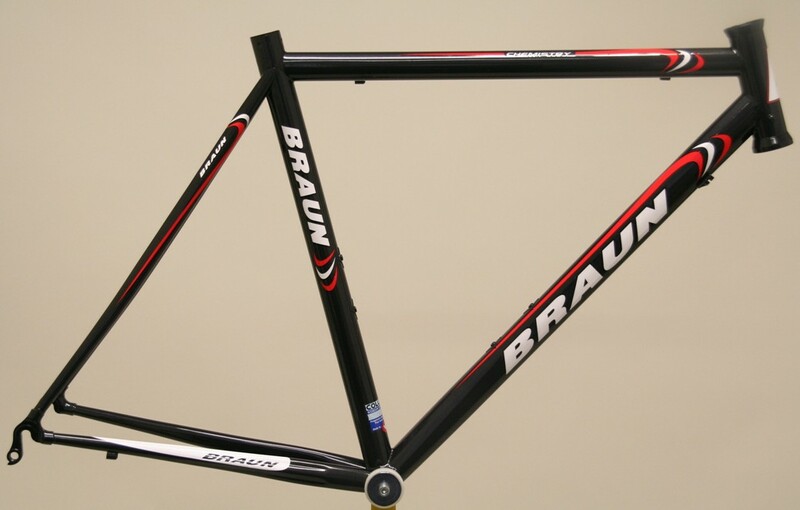 This frame is the best balance of lightweight and rigidity. The CHEMISTRY comes with a lightweight full carbon fork DEDACCAI BLACK FIN / BLACK WAVE (voice size 1'1 / 8 "). 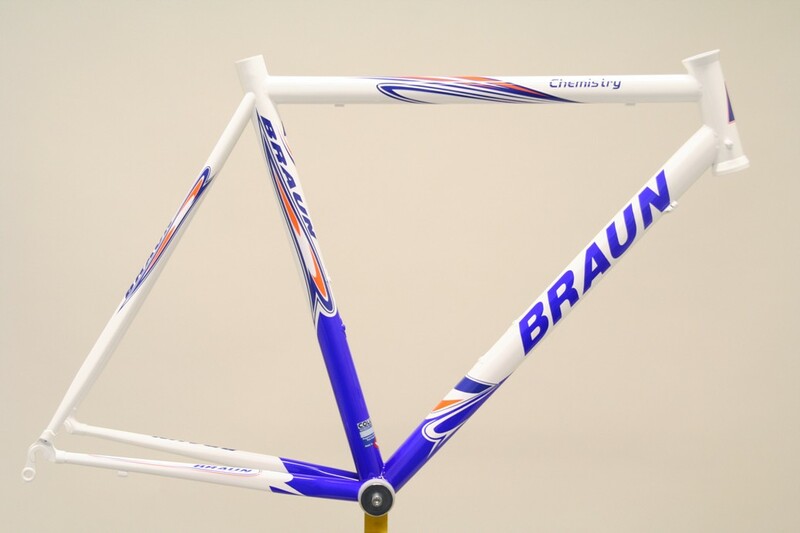 The frame weight CHEMISTRY is less than 1500 grams. For steel, this is the absolute top of weight reduction .